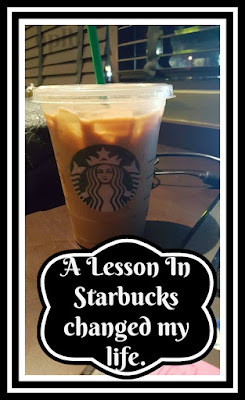 One Pretty Little Box: A lesson in Starbucks changed my life! A lesson in Starbucks changed my life! Good morning! I am sitting here before the sun comes up at a Starbucks in the town next to me. Why? I am trying to download a program, and the download speeds at home are ridiculously slow. A small price to pay for all the benefits of living in "Small Town Texas", but sometimes it is very inconvenient. Especially in our fast pace world. In fact, just to tell you the difference: At home it would take me 12 MORE hours to down load this program. As soon as I logged into Starbucks' wifi it went to 30 minutes. 12 hours vs 30 minutes is a lot! So, the typical me begins to think. Was it worth the 12.5 minute drive? Yes. Did my time get invested wisely? Yes. Now, it's time to dig deeper. What else could I learn from this experience? I have been wanting to load up the computer and come sit and write away from home in an atmosphere I enjoy. Who doesn't LOVE the scent of Starbucks? I love it! I wish Scentsy would come out with a fragrance called "Starbucks" and I would buy it right up. We do have a Mochadoodle, but it isn't the same. Anyway, I am getting off topic here. I hem and hawed this morning about going through the "trouble" of loading up the computer and taking off. I didn't have any responsibilities that really held me at the house at this time, so why not? I am not the most spontaneous of people, so for me to just act on a whim is new and I am loving it. So this experience taught me that YES I should do this more often. Maybe make a date with myself once a week to sit with coffee in one of my favorite places with my lap top and just write. Even if it is just a brain dump, or a blog post. November is coming and that means NANOWRIMO time again. I think I may have found my happy place to escape where I don't hear "MOM" or the dog nudging me to play, or the distraction from home blessings, TV, phones. Somethings in my life are worth a little more effort than I have been giving them. I have a new project that is burning within me to get going on and I think that it has been festering in the background BEGGING for attention while I just brush it away and peruse on Facebook and other social media outlets not really making any headway progress towards my own goals. I have witnessed some ugliness online and have seen what adult bullies look like. Not towards me but I have witnessed it happening to others and it is heartbreaking. I have been bored watching YouTube videos because I have watched several people over the last few years and nothing has changed much. It is just another year in their lives and they are still doing the same things. In my own life, I am learning I am despising complacency and I personally do not enjoy watching it in others. It's boring, frustrating, and to say the least ~ a waste of time. Theirs and mine. There is a bigger picture to this thing we call life, and sometimes it means taking ourselves out of our comfort zone, and doing new things. I was home, comfy in my pj's, and right now I am a bit chilly but loving every second. People around me are talking, there is noise from the making of coffee drinks but it isn't disturbing me or distracting me. The sun is beginning to rise while being blanketed by clouds that are alluding to the cold front that is about to blow through later this morning. Yesterday I was begging for inspiration, motivation, something to break through this wall of just being complacent and yet here I sit ~ with renewed motivation, and a spark of new ideas to work on. Do I return home the same? No. See I am done wasting time ~ valuable time watching the same people on YouTube do the same things they have always done. It was valuable to me a few years ago, but I have grown and what I spend my time on needs to accommodate that growth. I am done watching garbage on Facebook among adults who have nothing better in their lives to do but belittle people and be complete waste of time and energy. Especially when my hearts desire is to use Facebook as a tool to motivate and encourage as many people in a day as I can. Then I ask myself what exactly am I doing to reach that goal? What is my time spent on and is it spent on doing things beyond just me? 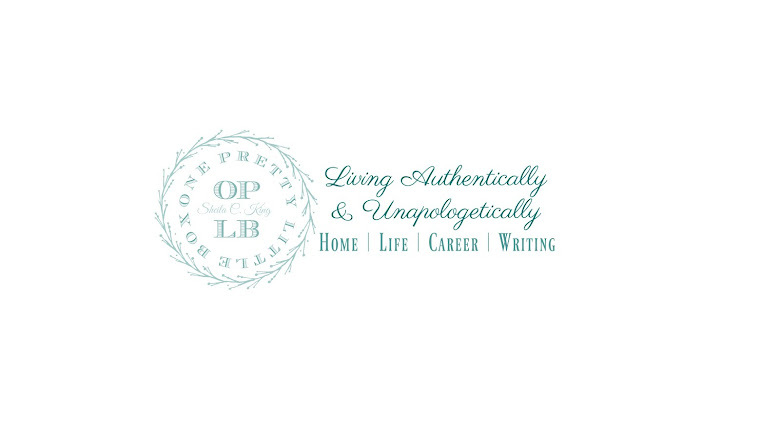 I am renewed, refreshed, and ready to push out and through this cocoon of complacency.